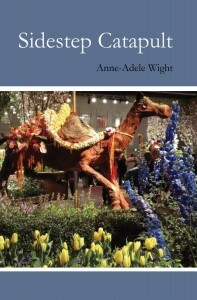 Anne-Adele Wight is the author of a new book of poems, Sidestep Catapult. I woke this morning from a dream of wild animals carousing in the backyard – so I reached for the book beside my bed: Sidestep Catapult, by Anne-Adele Wight. I found those same creatures described by my own unconscious lurking in her poems. Some animals are hungry; some just curious; others are downright vicious. Wight embraces the moods of these animals in all their complexity. Wight’s poetry brings our primitive nature to consciousness. As I read, an insistent remembrance of my primal side erupts through the surface, illuminating everything. Neuropsychology has mapped this part of our brains. Sometimes it is referred to as the reptilian brain, and part of it sits at the base of the skull. It lives within us and informs our behaviors, though many are eager to deny it. A mystic teacher, DC Vision, once said to me, “People think the natural world is beautiful. It’s not always so glorious. When you look closer, you see nature is savage. It devours itself.” He spent several years traveling by horse across the United States, so he should know. our throats lack bone and cord. 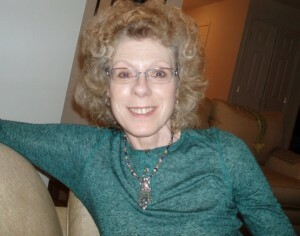 Anne-Adele Wight is a poet based in Philadelphia, PA. She says her poems come from speaking to the wild creatures. Wight points out the separation between humans and animals: communication through language is what drives a rift between species. Yet even with all their skill, humans lack the apparatus to speak to animals. Wight’s subjects are imbued with light and fired by crystal energies. Her book harbors the uncontainable: the elemental forces of nature and the mysteries that envelop them. Earth, air, water, fire and spirit coalesce in many of her pieces. Is this the music of the spheres? I love the way Wight posits the final question, set apart from this stanza. She is adept at perceiving through multiple senses. Wight is also attuned to the experiences of the astral body. Solstice Eve recounts a magic ritual where those gathered fuse with the natural world and initiate a stream of energy that is set quickly into motion. In magical rituals, intention guides outcomes. The act of gathering creates a centrifugal force held onto by those in circle and perceived and expressed through feeling, sights and sounds in nature. Wight’s work is the product of a mind with acute sensitivities. For those who see themselves as a part of the natural world – not just a banal observer — Sidestep Catapult will provide a jolt of recognition and a renewed sense of unity with our wild animalistic core.